Allows users to access, configure, and manage the PDU from remote locations via SSL web (https) and SNMP control. Reduce system down-time and simply reboot from a remote location with a simple switch of one individual power socket. The possibility of switching individual sockets finally makes remote control a reality. Your switch is my command! True RMS Current Metering & Reporting. Prevents overloaded circuits and allows allocating energy costs to specific devices. 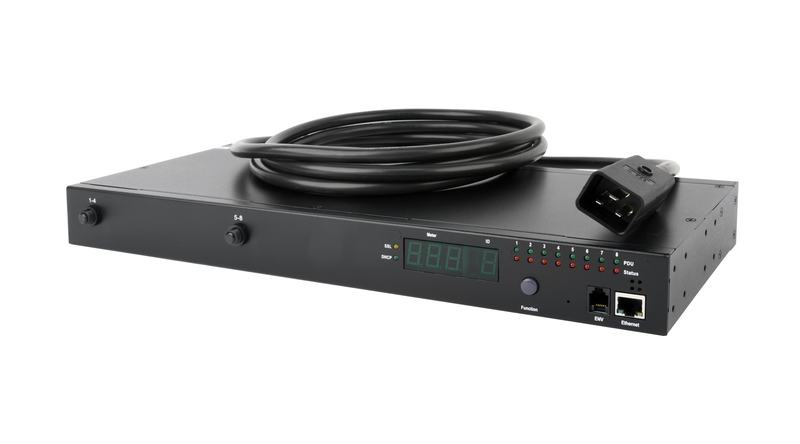 Monitor energy usage of each socket via the LED display, or from any remote location with the network management capabilities of the PDU. Real time sensing of user defined alarm thresholds helps avoiding overloaded circuits. The PDU informs users about alarm situations via e-mail, SNMP, SysLog and visible (LED) and audible alarm signals. Advanced circuit breaker protection helps protecting your valuable equipment. 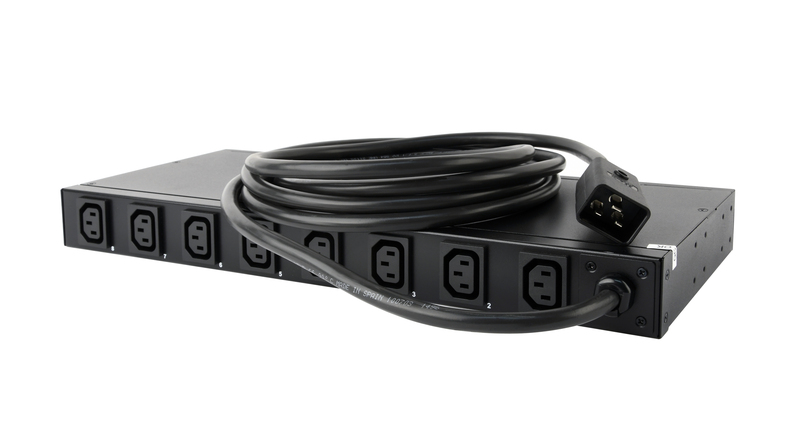 The EG-PDU product family has a perfect solution for almost every situation. With a variety of input and output connections to distribute 230V (16A) power to various amounts of sockets. Alarm Notification via Email, SNMP, Syslog, LED or Audible Alarm. User Defined Power On/OFF Sequence Time.